Description Construct gathers from multiple 2D or 3D volumes. Go to the Process tab, click the "+" button and search for Create Gathers. Click and provide a name for your Create Gathers process. Select the appropriate dimensions for your output gathers in the Gather Dimension dropdown box. Select your input volumes from the search box and set the value in the adjoining text box. To add more volumes, click the "+" button. 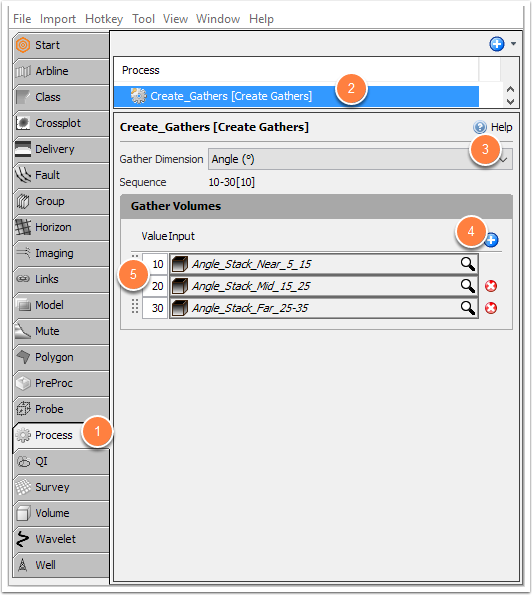 Enter a gather dimension Value for each input volume. 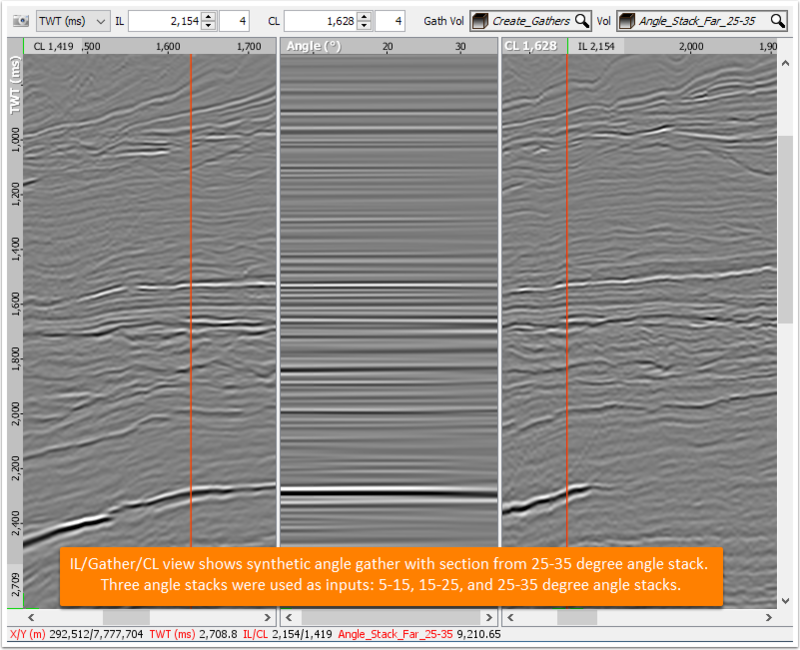 * In this example, each angle stack volume is assigned the midpoint of its angle range i.e. 10 is entered for the angle stack with a range of 5° to 15°. Note: All input volumes must be defined on the same survey, and must have the same vertical sequence.